The California Highway Patrol says boxing great Oscar De La Hoya has been arrested on suspicion of drunken driving. PASADENA, Calif. — The California Highway Patrol says boxing great Oscar De La Hoya has been arrested on suspicion of drunken driving. Officer Stephan Brandt says De La Hoya’s Land Rover was pulled over for speeding in Pasadena shortly before 2 a.m. Wednesday. Brandt says the officer smelled a strong odor of alcohol coming from the SUV. He says De La Hoya failed a field sobriety test and was taken into custody. 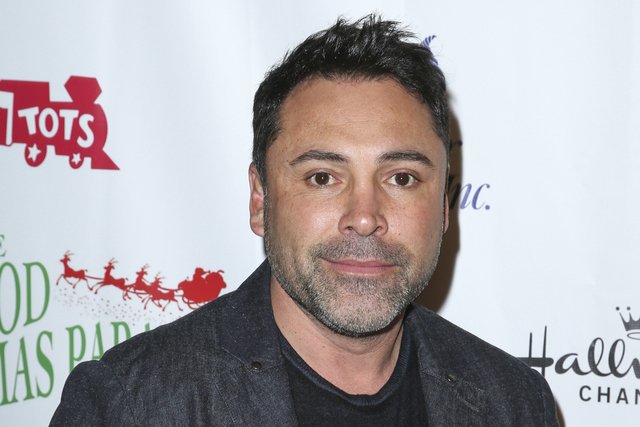 De La Hoya was cited for DUI and released to his manager. De La Hoya won gold at the 1992 Olympics and won multiple titles during a pro career that lasted until 2008. Messages seeking comment from his representatives were not immediately returned Wednesday.